I don’t have an option to add a New Flow Trigger as per # 7) Add one Immediate Workflow Actions i.e. New Flow Trigger and Select Flow ( Send reminder email) as shown in the following screenshot. Any clues on how to do this in Process Builder? Thanks for creating nice blog post!! 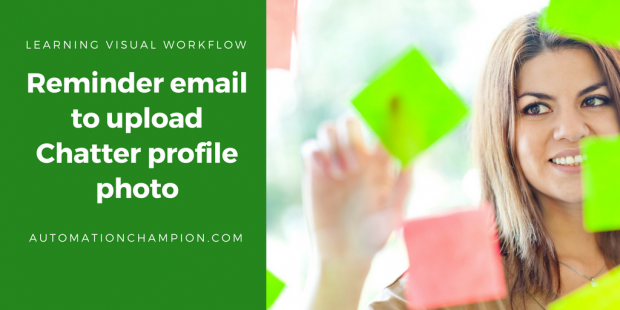 I’m new to salesforce, just wondering where you are checking in this flow if there’s no photo uploaded in the chatter for a user so that you can send email reminder to only those who doesn’t have photos.